America’s deepest commercial cave and largest underground waterfall open for public viewing has played host to millions of visitors since its first eager tourists marveled at its wonders in 1930. 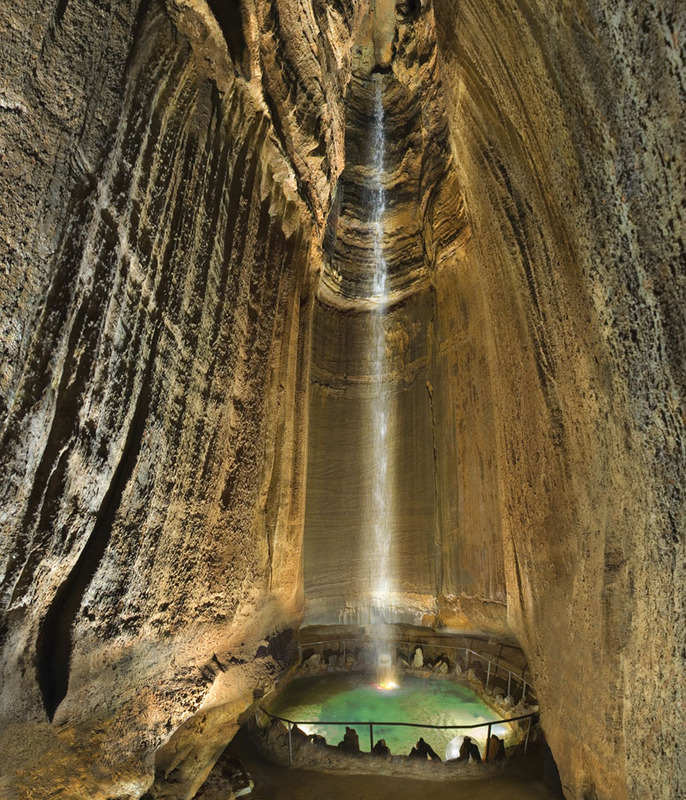 Approximately a half million guests each year continue to be amazed watching as hundreds of gallons of water every minute gush over the 145-foot Ruby Falls which is buried 1,120 feet beneath the surface of Chattanooga’s Lookout Mountain. Lifted from an ancient sea and shaped by erosion for millions of years, the summit of Lookout Mountain rises more than 2,300 feet above the Moccasin Bend of the Tennessee River drifting lazily below. 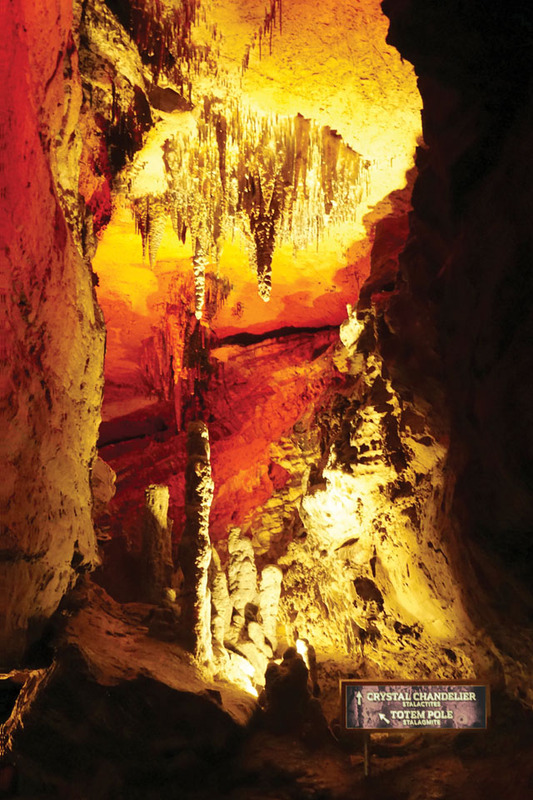 The caverns and winding passageways carved into the limestone mountain were known to the area’s native people centuries before the arrival of European settlers. In fact, the Chickamauga people, a branch of the Cherokee Tribes inhabiting the Chattanooga area, called the mountain Chat-a-nu-ga, meaning “two mountains that look at each other,” giving the city its eventual name. What began as a meeting place for Native Americans became a hideout for outlaws and was later used as a retreat and campground for Confederate and Union troops during the Battle of Lookout Mountain in 1863. Exactly 50 years later, in 1923, Leo Lambert, a local spelunker, began discussing the idea of opening the Lookout Mountain Cave as a tourist attraction. Receiving financing from several investors, Lambert purchased 30 acres on the side of Lookout Mountain and in 1928 began drilling an elevator shaft to the cave. While drilling, they encountered a small opening and crawled in on hands and knees to explore this new cavern. On their initial trip into the caverns, they discovered numerous interesting rock formations and were awestruck to find a magnificent waterfall. 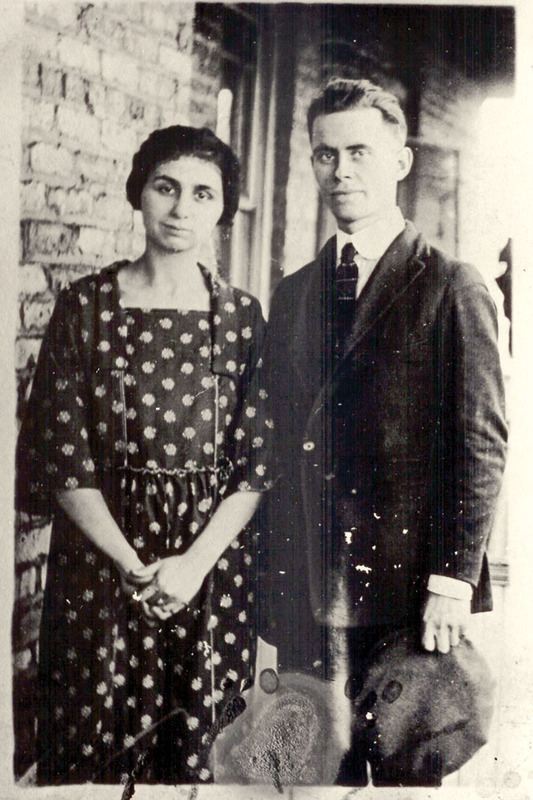 On his next trip into the cave, Lambert took his wife, Ruby, with him and promised to name the waterfall in her honor. Ruby Falls was opened to the public in 1930. Edward Steiner and Carl Gibson purchased majority interest in the popular attraction in 1949 and, under their leadership, improved management efficiency and customer service. 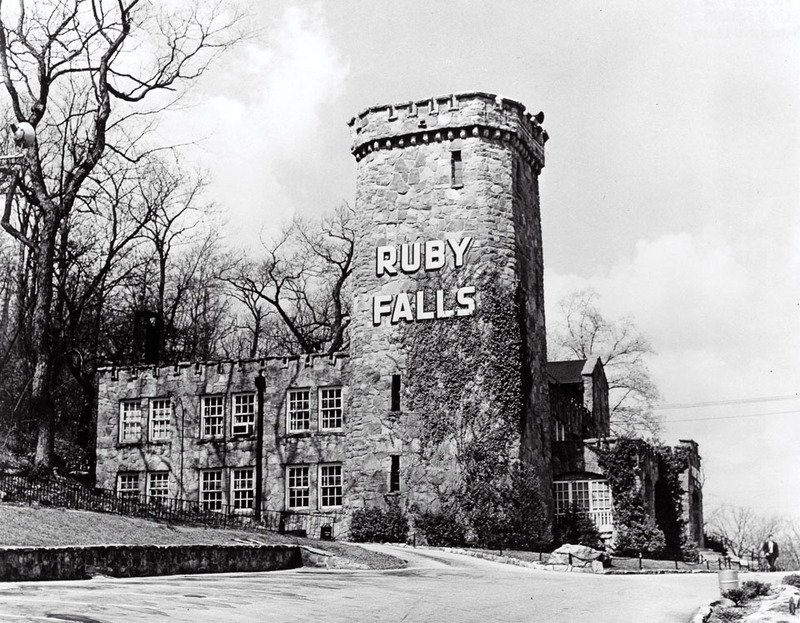 Ruby Falls ownership was later transferred into a trust to preserve its rich heritage and is managed today by a board of directors and led by President Hugh Morrow, Jr. 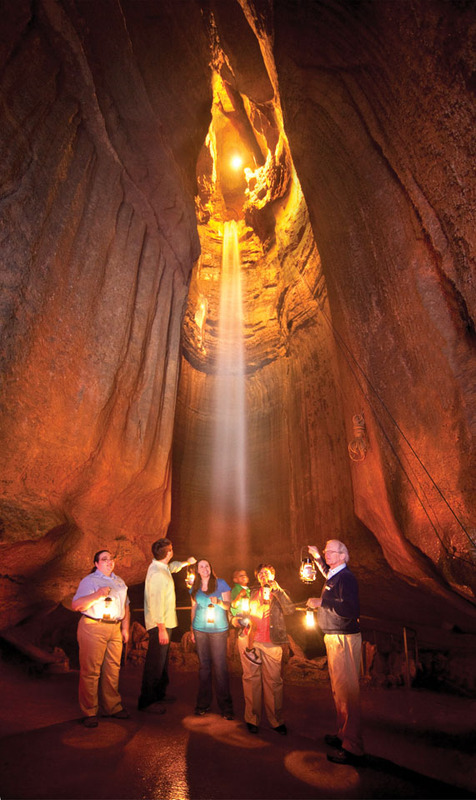 In addition to the traditional guided tour through the cave to the spectacular waterfall, Ruby Falls offers visitors of all ages a variety of memorable experiences from which to choose. The special edition Lantern Tour, leads small groups of adventurous guests into the heart of the cave using only lanterns to light the way. An unobstructed, panoramic view of the Tennessee River Valley rewards those who go to the top of 70-foot high Lookout Mountain Tower, constructed from the limestone excavated from the original elevator shaft and modeled after a 15th century Irish castle. 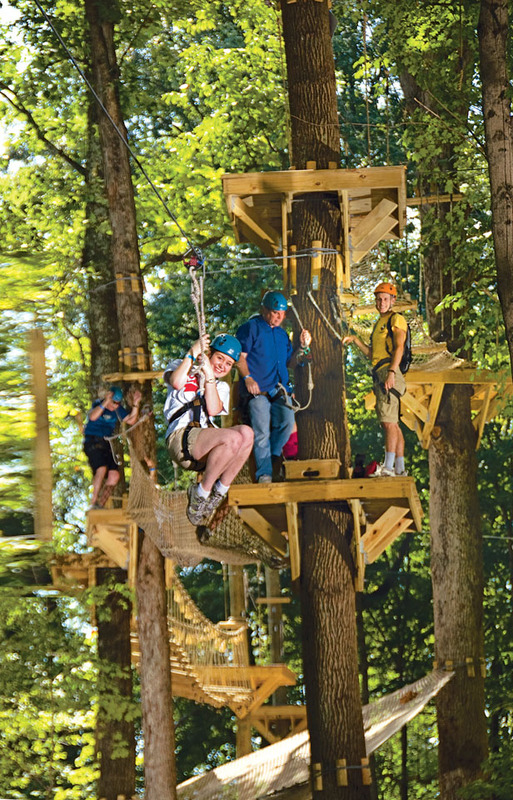 Thrill-seekers can opt for an exhilarating visit to ZIPStream Aerial Adventure to scramble up the 40-foot Climbing Tower, experience an adrenaline pumping 700-foot roundtrip zip line, and conquer the suspendedobstacle courses built in the treetops. The legacy of Leo and Ruby Lambert continues today as the present management team is embarking on an ambitious undertaking to enhance the Ruby Falls experience. The first phase of the ten-year, $20 million expansion project will add 12,000 square feet of space, including new retail, lobby, and ticketing areas. The Ruby Falls management team continues to uphold its long-standing commitment to environmental initiatives. In 2010, the attraction became the first U.S. client for the dual Green Globe/Green Certifications program for tourism business. Recertified in 2014, Ruby Falls continues its commitment to sustainability and the preservation of sensitive natural resources.